There should be a monument dedicated to those who gave their lives in the Clone Wars as well as those brave jedi lost after Order 66 was executed. Ditto to what Mike said. I had no idea about this monument and look forward to paying it a visit. This reminds me of a plaque installed in memory of a murder victim near where I lived during junior high in Hollywood. I don't even know if it's still there, but now I'll have to go check and document it. I will try to visit this monument in March when I am back in Los Angeles. I will put it up along with any others I find during my stay at http://sites-of-memory.de. 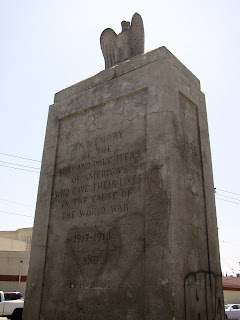 Anybody know of any other war and/or Holocaust or other memorials in and around Los Angeles? Militant! Today marks 100 years since Greayer "Grubby" Clover, Los Angeles' most famous Great War casualty died while flight training in France! 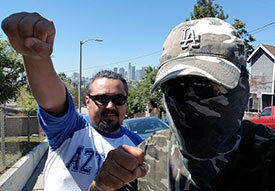 As always, Stay Militant! -WALT!